Smart kitchen technology is hot, gorgeous and here to stay. 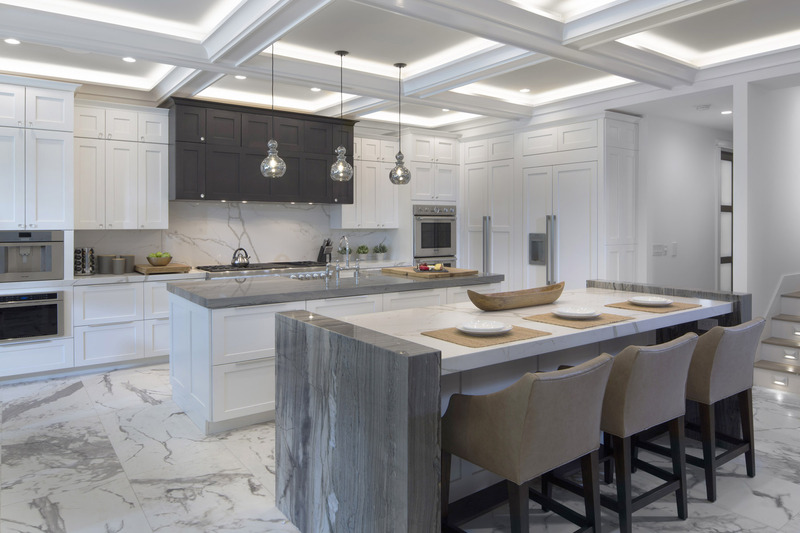 Naturally, the 2018 Greater Orlando Parade of Homes, which the Phil Kean Kitchens team is proud to be a part of, promises to be a wonderland of smart kitchens integrated into homes of every architectural style and description. To get a taste of what’s new in kitchen automation and extraordinary design, keep reading for our thoughts on the trend and how we’re infusing this couture smart kitchen tech into our custom kitchens. At the 2018 Consumer Electronic Show (CES) in Las Vegas, smart kitchen technology was a must-see popular trend. Cooks Illustrated reported on the CES extravaganza of epicurean high-tech offerings, saying, “Appliance makers are betting big on technology. If they’re right, cooking is going to change!” There’s even an annual, international Smart Kitchen Summit with global expos each year. With new functions and new finishes—from rare metallic tones to bright colors or sleek new takes on classic neutrals—smart appliances, fixtures, lighting and storage are combining programmable ease with jaw-dropping style. 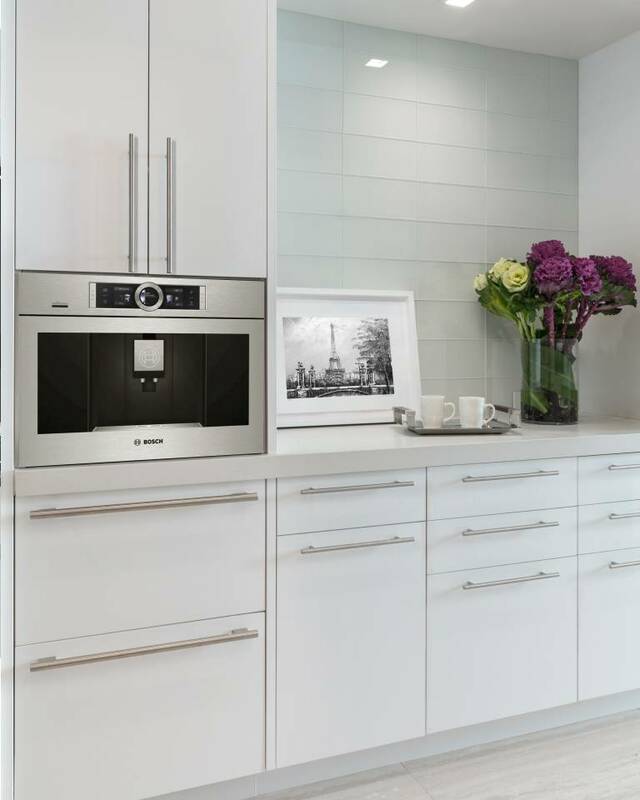 According to Phil Kean, “The choices in this bright new world of intuitive kitchen tech are extensive and exciting. Creating a personalized custom kitchen design that is responsive to your individual style of cooking, entertaining and just living is a rewarding adventure. It’s really helpful to work with our experts to sort through the many kitchen tech options that meld great design with function and ease.” The culinary technology trend is especially at home in the indoor-to-outdoor kitchen designs for which the Phil Kean group is renowned. 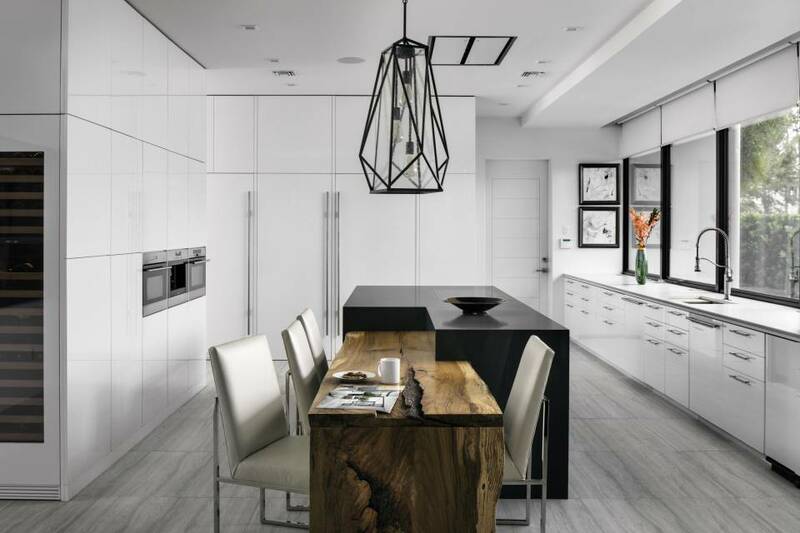 According to Phil Kean, “The important thing always is keeping your kitchen a warm and welcoming haven whether your taste runs highly contemporary or comfortably elegant.” When it comes to incorporating the latest trends in kitchen automation and design, you’ll want your kitchen to “live” as it always has. As the hub and heartbeat of your home, it’s a place you’ve created as a special setting for family and friends, inspired epicurean creativity or simply the joys of a peaceful cup of coffee or romantic cocktail. “For many people, the kitchen is the center of the home and a locus for interactions that go beyond preparing and eating food,” states a recent New York Times design article. To start to picture how all of these beautiful, intuitive kitchen tech designs can be woven into a personalized custom smart kitchen embodying your own aesthetic statement while being intuitively responsive to your unique cooking, entertaining and living style, a visit to the Phil Kean Kitchens showroom will fire up your imagination and make your heart beat a little faster! Why not schedule a complimentary consultation? Imagine impressing your friends (and taking the hard work out of entertaining) with a stunning Bosch connected coffee machine. Its CoffeePlaylist allows you to program customized coffee and tea beverages for all your guests. Your morning will never be the same! Those who sign a qualified kitchen design contract with Phil Kean Kitchens during May 2018 will receive this extraordinary example of beautiful and functional smart kitchen technology compliments of Phil Kean Kitchens. Find out more at the Phil Kean Kitchens showroom or at the Phil Kean Design Group entries in the upcoming Orlando Parade of Homes. For more information about custom gourmet smart kitchen designs contact Phil Kean Kitchen & Bath to schedule your private consultation.